One of the traditions at our family Thanksgiving dinners, and Christmas as well, is actually a dish that not everyone likes. But it was always on every holiday dinner table when I was growing up, as well as our holiday dinner tables now. Growing up on the Eastern Shore of Maryland, which is one of the greatest seafood areas in the country (yes, I will argue with anyone on that! ), we always enjoyed a some of the best blue crabs, clams, oysters, and fresh fish I’ve ever had. 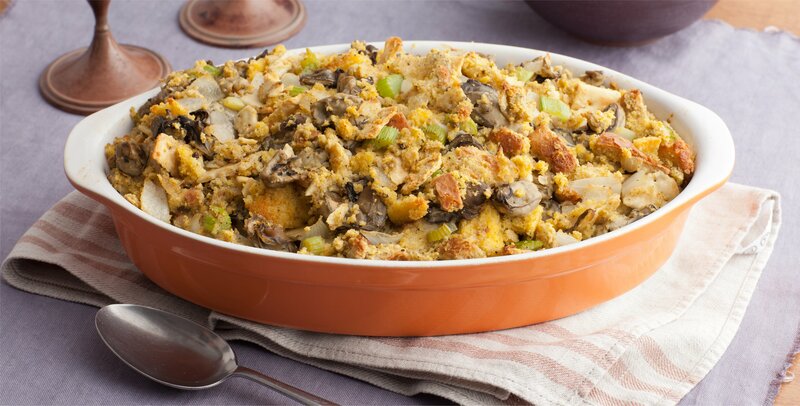 One of the traditional Eastern Shore holiday side dishes was what we called Oyster Dressing, also known in other areas as Scalloped Oysters. I’m not an oyster fan per se, but this dish is something I very much enjoy. Unfortunately my husband doesn’t share my enthusiasm for it, especially since he’s allergic to oysters, but I’m thankful our son-in-law loves oysters, so I can still make it and have someone join me in eating it! Traditionally my aunt always made the dish, and would bring it to my mom’s house just about ready to bake, so it would be piping hot when served. Since it’s just oysters, crackers, butter, and milk, she’d always bring her own quart of milk to pour into it right before she stuck it in the oven. Because she had to make sure the liquid covered all the crackers thoroughly so it wouldn’t be too dry, she always used a glass casserole dish. When we were kids we used to be fascinated by her pouring the milk in and getting the texture just right. Why, I have no idea; it was just one of those things we did…we were kids! And we didn’t have to help cook! So for all of you who are curious, and sea food lovers, I’m happy to share the way we made this dish, and still do today. 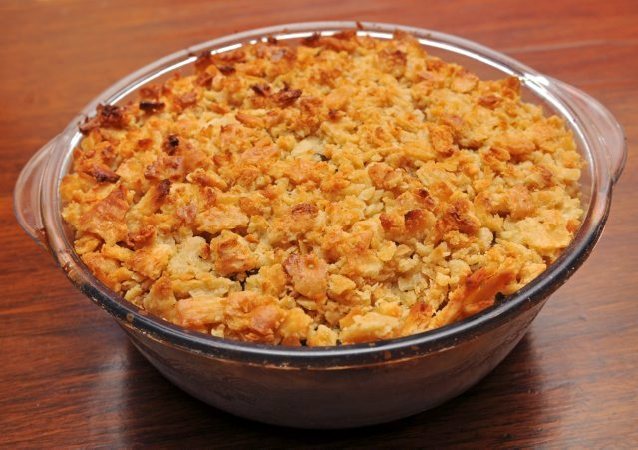 And please, use a round glass casserole dish…trust me, it’s easier! Butter the bottom and sides of a round 1 1/2-2 quart glass casserole dish. Crush some of the saltines and put in the bottom of the casserole dish, at least a 1 1/2 inch or so thick. Place about 1/3 of the oysters on top of crackers, sprinkle with pepper, and dot with butter. Repeat the process 2-3 times, ending with another layer of crackers, dotted with butter. Cover with wax paper or saran wrap and refrigerate until ready to bake. Bake 40-55 minutes until done. During baking watch to see that it doesn’t dry out; if so, add a tiny bit more milk. Serve hot! And if you have leftovers, cover and reheat in the oven or microwave. Previous Where Are Your Tears? Next What Are You Doing for Thanksgiving? Interestingly, we never had oyster dressing when I was a kid, and we all loved oysters!! But when I married my husband requested it so I started a tradition that continues to this day. I don’t make mine like yours. I basically make regular stuffing with toasted bread cubes, the trinity (onions, celery and green pepper chopped fine), poultry seasoning, and chicken broth. I sauté the trinity and add the drained and rinsed oysters for the last several minute so they’re almost cooked through. Then I combine with the bread cubes, broth and mix gently so as not to break up the oysters. Then turn into an ungreased glass baking dish and bake about 20 minutes at 400 just to heat through (everything is already cooked) and brown the top. I’m going to have to give your version a try as it sounds very interesting and delicious!! Yours sounds really good, too! I will try that for our son in law! !